Maruti Suzuki is reportedly planning to launch the WagonR EV in the Indian market in 2020. Suzuki has already issued its confirmation on launching its first electric vehicle in 2020 and this could be Maruti Suzuki’s first launch in this space. Suzuki will be building a lithium-ion battery plant alongside its manufacturing facility in Gujarat and battery production will be executed as part of a JV between Denso (10%), Suzuki (50%) and Toshiba (40%). The WagonR EV could also be manufactured at the Suzuki plant in Gujarat in a bid to lower costs through easier accessibility. The batteries and other components could also be locally produced in order to ensure competitive pricing for buyers. Suzuki will be manufacturing electric vehicles for Toyota and Maruti Suzuki and Maruti Suzuki could make the WagonR EV at its Gurgaon plant as well. 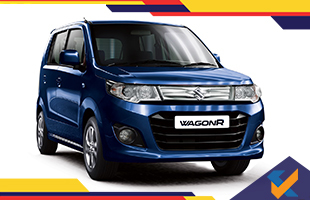 The new generation WagonR is also due for a launch in the Indian market later this year according to reports. The pricing should be anywhere between Rs. 6-7 lakhs (ex-showroom) for the electric version of the car.